Registrations are still open for the new EUCROF webinar “Doing More with Data: Data Anonymisation and Pseudonymisation under the GDPR” that will take place on 17 April 2019. The webinarwill describe pseudonymisation and anonymisation techniques, specifically for clinical trial data, and how these fit within the GDPR regulatory framework. Many organisations are trying to exploit more value from their data to improve their products and services as well as to offer new ones and optimise their own internal operations. With the General Data Protection Regulation (GDPR) in place, these organisations need to determine the lawful basis for such activities. De-identification techniques, such as pseudonymisation and anonymisation, can play an important role in facilitating such secondary uses and disclosures of data. The webinar will be held by Khaled El Emam Founder, General Manager, and President of Privacy Analytics and is organised within the Events&Training working group of EUCROF. 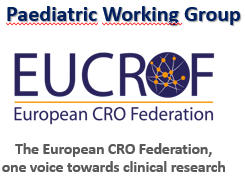 This Working Group (WG) has been launched with the aim to strengthen both events and training in the light of the educational vocation of all the activities EUCROF offers to its associates and external stakeholders. Donato Bonifazi, Chief Executive Officer at Consorzio per Valutazioni Biologiche e Farmacologiche, is the chair of the WG that intends to deliver activities to build relationships across organisational boundaries as well as to give training staff the opportunity to develop skills, expertise and grow within their role. For more information about the webinar and for registrations, click here.